The Ige administration should stop belittling the work of UH Hilo’s laboratory and fund it immediately. Recently we saw the headline that an infant was the 17th documented case of rat lungworm disease in Hawaii this year. Part of the tragedy was that the mother had to insist on a blood test during her second trip to the ER, after her first visit and several doctor visits failed to test for the disease. Any delays in diagnosis of rat lungworm disease are especially serious. Until treatment to kill the parasites begins, the worms are literally eating the patient’s brain cells. With enough time, permanent brain injury occurs. Typically, victims are misdiagnosed four or five times before getting the correct diagnoses and beginning treatment. So, I ask once again that our state Department of Health take two actions related to rat lungworm disease that are urgently needed. We need a definitive diagnosis protocol that can result in quick response. We also need to gather together the front line practitioners and agree on a treatment protocol. Currently the DOH only recognizes a spinal tap confirmation. Most patients refuse this invasive painful procedure, which results in a systematic reduction in the number of acknowledged cases, and delayed treatment in many instances. As for treatment, currently the DOH is following Centers for Disease Control and Prevention guidelines, which is not what the treating physicians on the front lines in East Hawaii have found to be the best treatment. 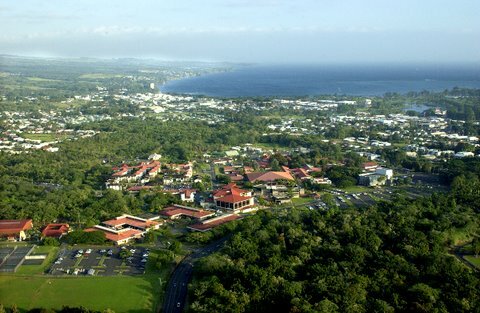 The rat lungworm disease lab at UH Hilo, pictured, badly needs state support. The University of Hawaii Hilo rat lungworm disease lab under the direction of Dr. Susan Jarvi is in the process of developing a quicker, easier disease screen that would allow quicker diagnoses. This blood test screen would be accepted by many more patients and thus more accurately track new cases. This is one example of why the work being done at the rat lungworm disease lab is so very crucial. It is not theoretical research; they are the only ones doing the important research on how this disease acts in Hawaii and how we can deal with it. The UH Hilo lab has been pushed aside for political reasons. Other examples include developing guidelines for safe water catchment, which has been discovered by the lab to be a major risk factor.It was never the rat lungworm disease lab’s job to educate the community about the disease, but they did it anyway because no one else was doing it. They taught school gardens how to be safe, produced literature for the public, and conducted outreach education. They counsel victims locally and many on the mainland who contracted rat lungworm in Hawaii. This should have been someone else’s job. But the lab’s staff are real, caring people, so they stepped into the void. Yet they have been pushed aside for political reasons. As is often said, no good deed goes unpunished. Interestingly, the rat lungworm lab asked to be on the Education Task Force of the rat lungworm disease working group, and was denied a seat at the table. Funding for the the lab was supported in the Legislature this year. Politics killed the bill as the funding was redirected to the DOH. The problem is, the victims of this political game are people like this infant, now infected with a serious disease that was not promptly diagnosed or treated, and the many others to be harmed in the future by our failure to address this issue. The state administration has circled their wagons against this lab, somehow not realizing that the lab has been the best ally our community has had in this fight. Because the lab has been involved all along while others dragged their feet, some have found it useful to belittle the lab’s efforts. The community knows better. This lab is now begging for money to continue its crucial research. Perhaps the delays and lack of cooperation are to keep the subject out of the tourism press, perhaps it’s from not having an answer, or perhaps it’s concern for lawsuits. But it is now time to stop the games and take this disease seriously. The CDC does not recognize the severity of this disease; it presents differently here in Hawaii, so there is much to learn. DOH has been taking its cues from the CDC’s erroneous view of rat lungworm and not listening to the local people who actually treat the victims at Hilo Medical Center and the lab. I again urgently call upon the administration and the DOH to stop belittling the crucial work of the lab and to fund it immediately. How many more sick babies will go undiagnosed? The recent infant case of rat lungworm shows the importance of the work we need the UH Hilo lab to do. No one else can produce this info, and no one else has been trying. It is crucial to fund the lab urgently and fully, lest rat lungworm disease become Hawaii’s most famous export.